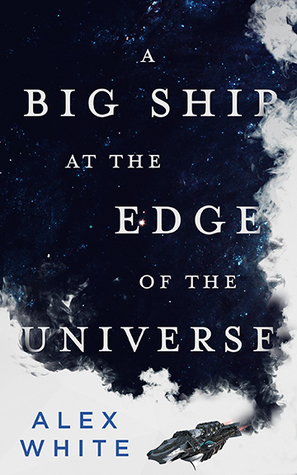 In any case, A Big Ship at the Edge of the Universe wasn’t a standout for me, though granted, I can be quite picky when it comes to this genre. Still, if you enjoy fun sci-fi adventure stories about treasure hunters and heists in space and are looking for a light fluffy read won’t require too much time or deep thought, this one might just do the trick. Finished this yesterday and couldn’t agree more with you! Oh, I look forward to your review! Great review! The book sounds interesting, I might check it out – I am a fan of sci-fi adventure stories. Probably not for me, I don’t read many books of this nature and this sounds okay but not quite with that extra something that would make it appeal to me. And it’s not not like there’s a shortage of choice out there! I agree. I’m the same way about Mil-SF. Give me “space marines” and I’m there! With the amount of books you read, it’s not surprising that your standards are set pretty high. This sounds fun, but with everything else I have to read, I might pass. When this title and its sequel started to make themselves known, I was intrigued: like you I have a soft spot for space-based adventures, the kind of story that’s perfect for putting your feet up and enjoying a good story. But the mention of the mix of science fiction and magic made me hold back, and from your comments it would seem that this detail is not handled satisfactorily, so I’m uncertain whether to take the plunge or not. If you do, I would love to hear your thoughts on it! Hope it works out for you! Yeah, once you read so much of one genre, you start to have higher expectations. Awesome way to approach it! It’s nice to know about this one. I know I’ve seen it once or twice and have been curious- I tend to like space opera too. Magic and SF mixed together can be so tricky though, for sure. Glad it was decent even if it wasn’t super memorable. Yeah, you pretty summed up my thoughts in your comment. I do love seeing the magic/tech combo in SFF, but not too many authors can pull off memorable world-building. Nice review. 🙂 I agree with everything you said. Absolutely nothing is wrong with this book but nothing stood out as exceptional either. Bingo! It wasn’t bad, just not very memorable and I doubt I’d remember much from it after a few months.